The Michigan Floral Association (MFA), founded in 1920, is a full-service trade association representing florists, growers, suppliers, wholesalers, educators and students. 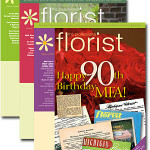 MFA provides education and professional partnerships, sponsors the Certified Florist (CF) program, creates and hosts The Great Lakes Floral Expo and trade show, conducts educational seminars at the Professional Education Center, partners with local wholesale houses around MI to produce design seminars and product reviews, publishes the award winning Professional Florist magazine and interacts with state/federal government agencies. Please have fun exploring our site and discover the joy of flowers. 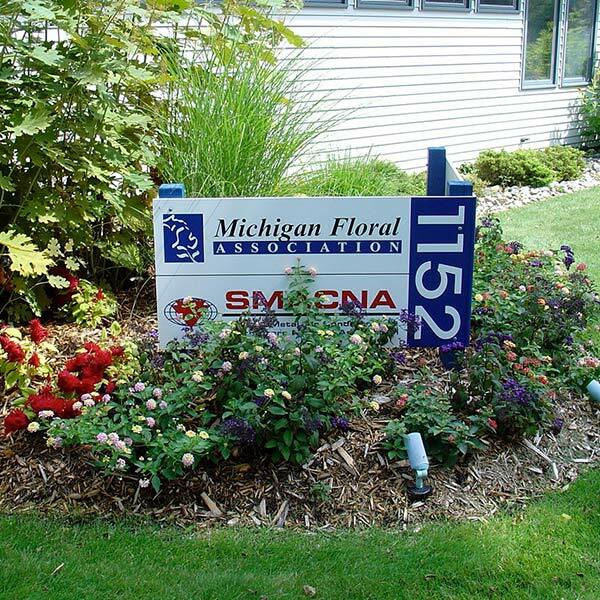 The Michigan Floral Association (MFA), founded in 1920, is a full-service trade association representing florists, growers, suppliers, wholesalers, educators and students. SAVE THE DATE and plan now to attend the 2019 Great Lakes Floral & Event Expo. Industry members from across the country will attend the 2019 expo, scheduled for March 1 – 3, at the Amway Grand Plaza Hotel/ DeVos Place in Grand Rapids, Michigan. 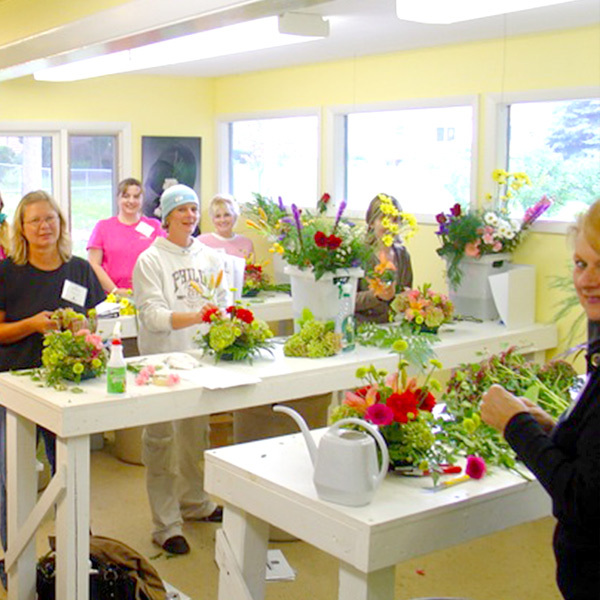 There are many reasons for floral professionals to become certified florists. Most associations which offer the certification provide advertising tools so that you can communicate to the public that you have achieved a high level of professional training. Find out about the Certified Florist program and how it will benefit you. MFA offers top-of-the-line education benefits with its Professional Education Center at the headquarters in Haslett, MI, and with “On the Road” classes. The workshops available are: Wedding, Sympathy, and Flowers-to-Wear/Gluing. Simply choose the class and instructor from the list provided and notify the office of your choice. The classes are three hours long and are limited to 10 students per class. 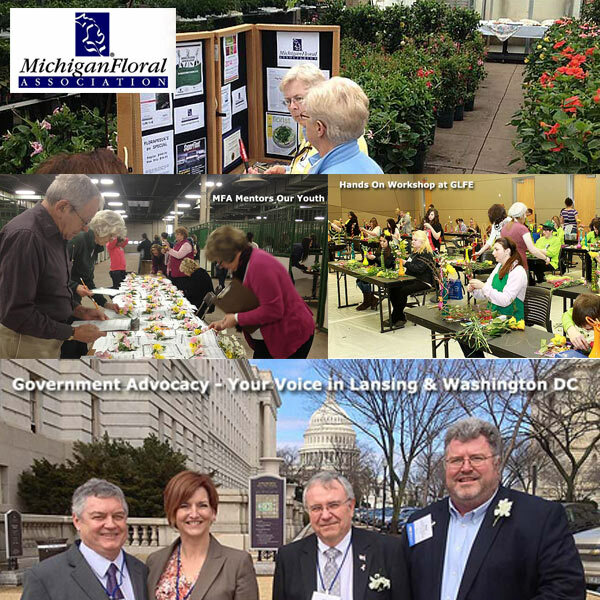 The Michigan Floral Foundation (MFF) is a 501(c) 3 organization which has been established to support & advance the floral industry; it’s members and the communities they serve. The Foundation meets this responsibility through educational opportunities and community enrichment activities. The MFF will periodically honor outstanding members of the floral industry who have mentored and inspired their fellow industry members. 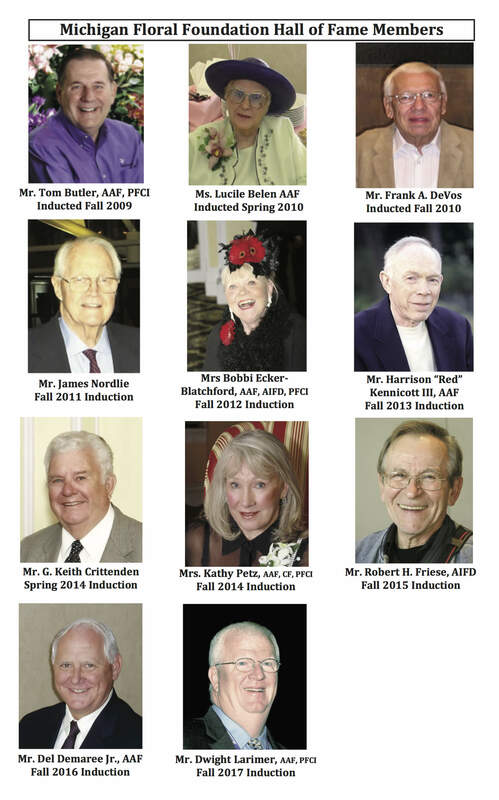 The Michigan Floral Foundation Hall of Fame has been established to record the contributions of those so honored. The Foundation will also make available financial assistance to those seeking to become a Certified Florist, such as providing matching funds when candidates purchase their study materials. Locate a professional MFA Flower Shop near you. Look for the MFA member or Certified Florist Icon on the map. 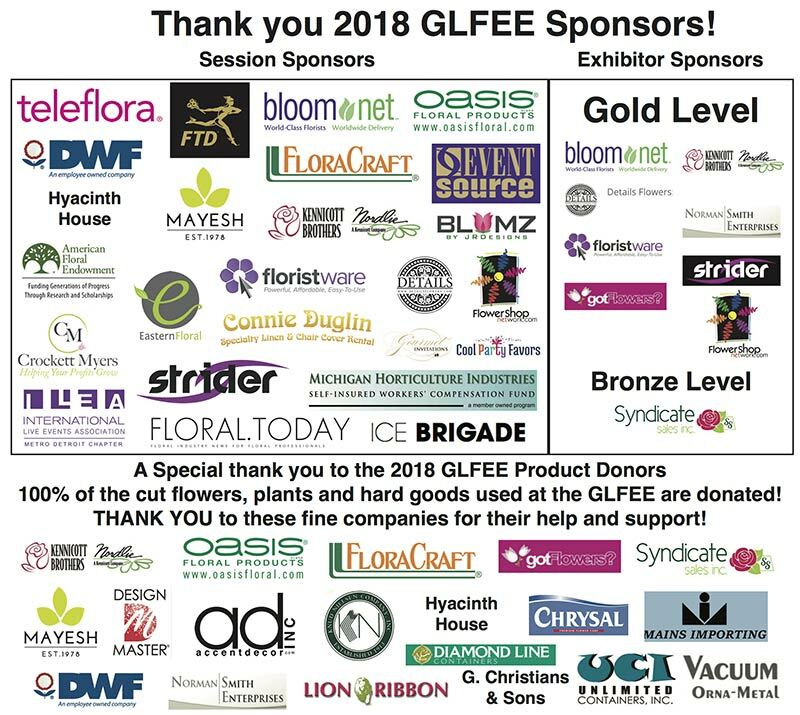 MFA would like to thank our Great Lakes Floral Expo Sponsors! Please support these companies that support your educational opportunities! March 1 – 3, 2019 ~ Save The Date! Make a Nomination Online NOW! Read the latest floral industry news.